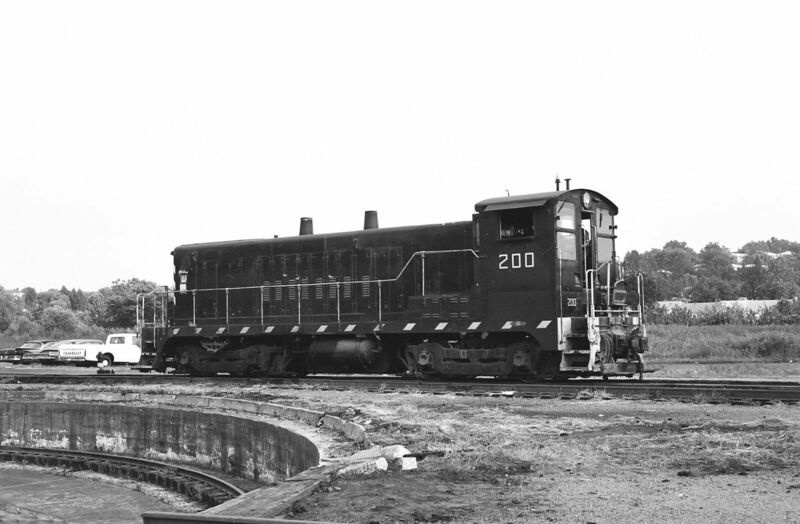 2-8-0 1216 and VO-1000 227 at Springfield, Missouri on August 9, 1947 (Arthur B. Johnson). 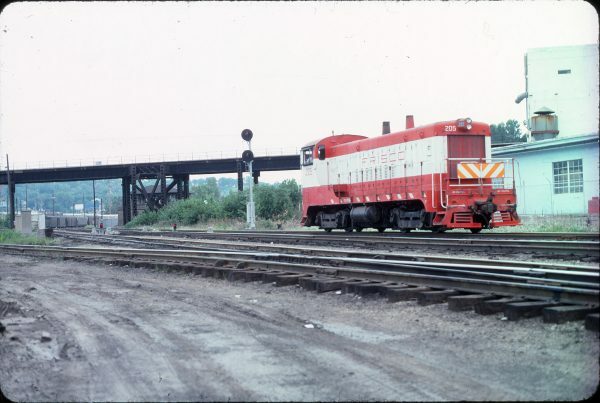 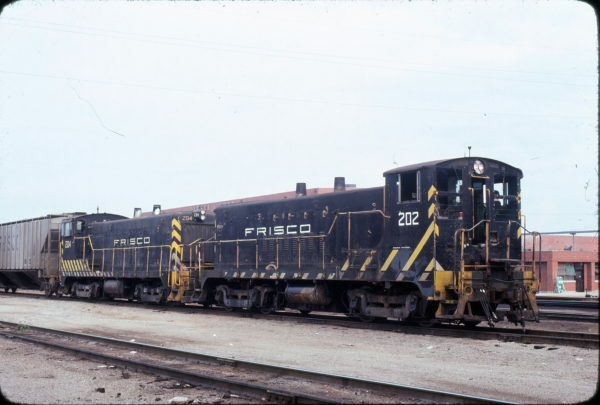 VO-1000 217 at Kansas City, Missouri in May 1969. 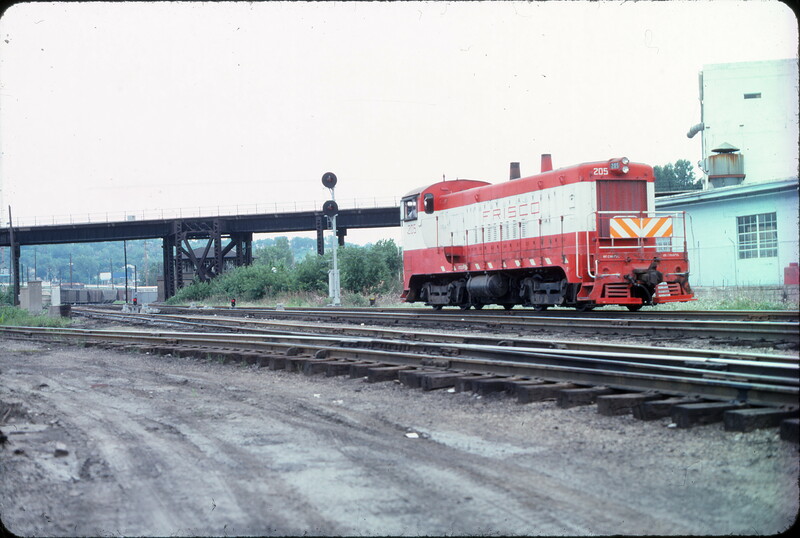 The locomotives are at the Mechanical Departments service tracks area at 19th Street Yard. 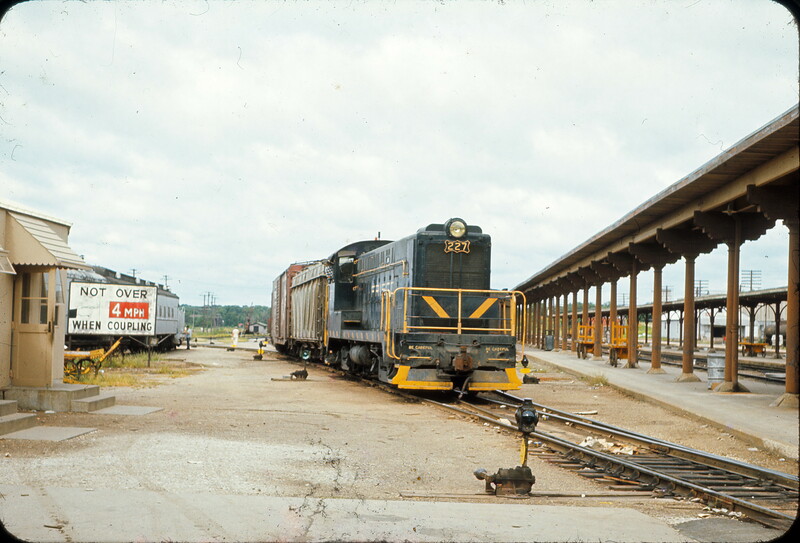 Visible behind and above the locomotives is the single track diesel shop. The unidentified number SD-45 and F unit are on service track 1. The three VO-1000 switch engines are on service track 2. 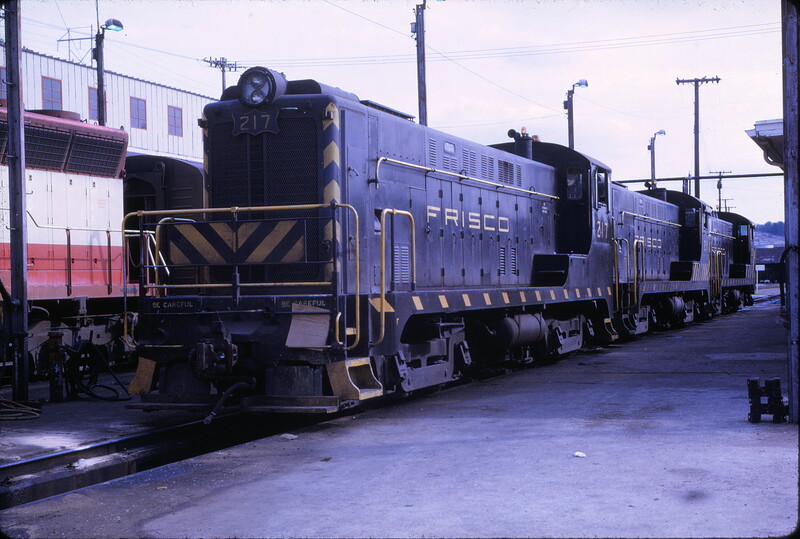 The middle VO-1000 is SLSF 211. 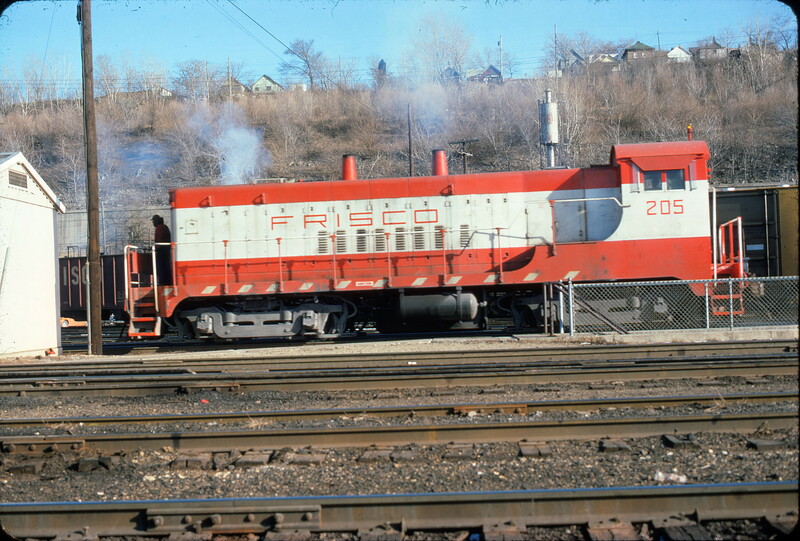 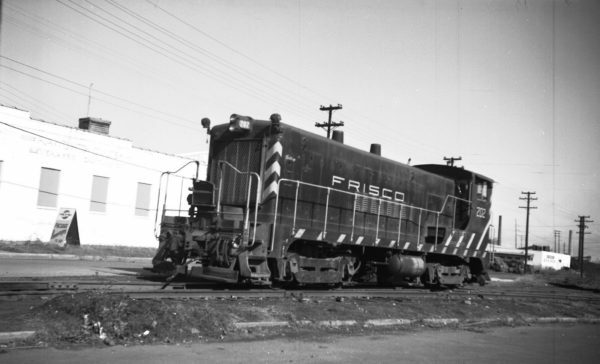 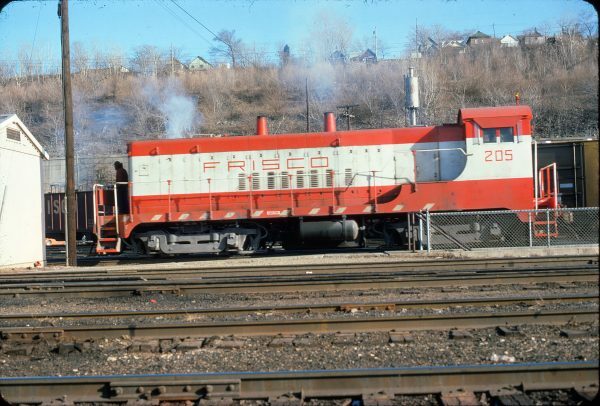 The far VO-1000 locomotive is four exhaust stack variant believed to be SLSF 234. 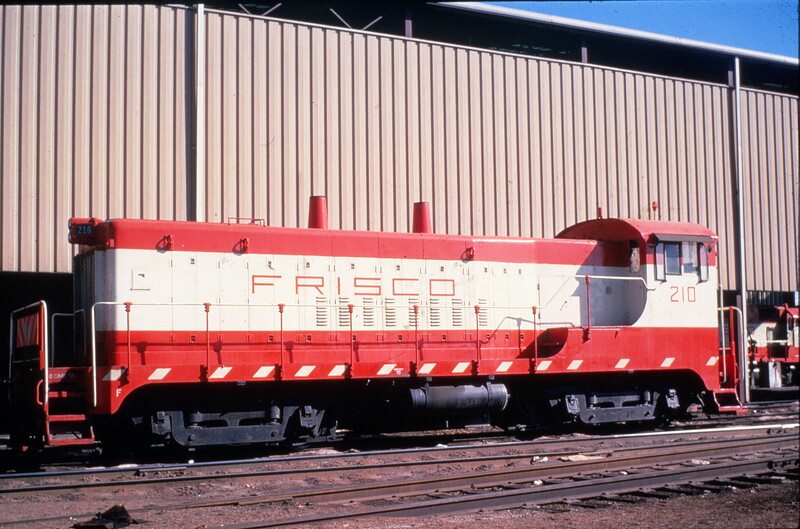 Interesting are the different striping arrangement patterns on each of the three switch engines. 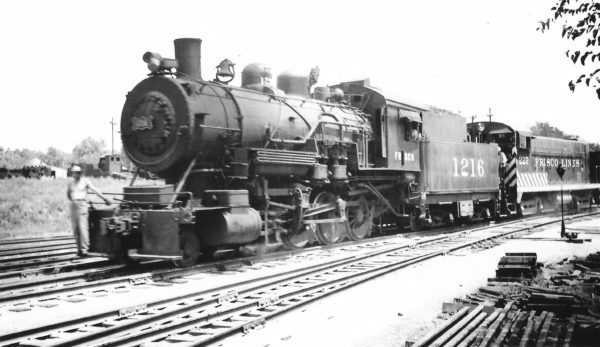 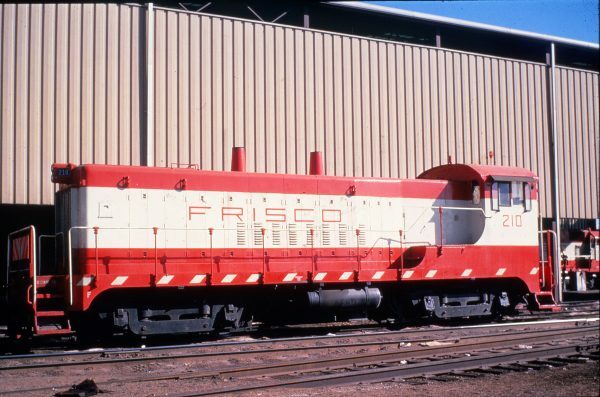 Note the non-standard forward slant of the stripes on SLSF 217. 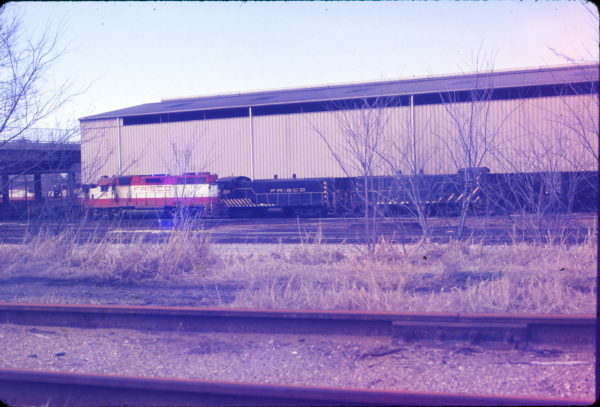 The view is looking south.